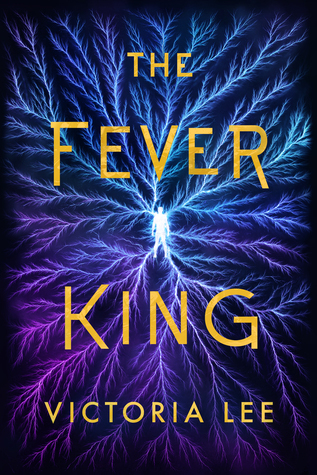 A few weeks ago I received an ARC of The Fever King by Victoria Lee, one of my most anticipated releases of next year, and weeks after having read it I’m still thinking about it. 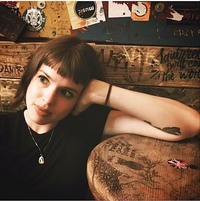 This is a book you can’t miss out on (YA political fantasy! all-queer cast! important and always-relevant themes such as intergenerational trauma!) and I’m so happy to be able to be part of the book blitz that Xpresso Tours organized, so thank you so much to them for the opportunity! Read on to find info and preorder links, as well as an excerpt from chapter one and a giveaway for a chance to win one of five ARCs! He stood there for a second, staring woozily at the mess while sirens shrieked in his ears. He was sick. Magic festered in his veins, ready to consume him whole. His father, when Noam managed to weave his way back to his side, had fallen unconscious. His head lolled forward, and there was a bloody patch on his lap, yellow electricity flickering over the stain. The world undulated around them both in watery waves. “It’s okay,” Noam said, knowing his dad couldn’t hear him. He sucked in a sharp breath and hitched his father’s body out of the chair. He shouldn’t—he couldn’t just leave him there like that. Noam had carried him around for three years, but today his father weighed twice as much as before. Noam’s arms quivered. His thoughts were white noise. It’s okay, it’s okay, it’s okay, a voice kept repeating in Noam’s head. He dumped his father’s body on the bed, skinny limbs sprawling. Noam tried to nudge him into a more comfortable position, but even that took effort. But this . . . it was more than he’d done for his mother. He’d left her corpse swinging on that rope for hours before Brennan had shown up to take her down. His father still breathed, for now. YES good! I’m still trying to write my review because it’s a Big Book with a lot of themes but I definitely recommend it! I hope you can get an ARC because I need to Discuss it with someone!